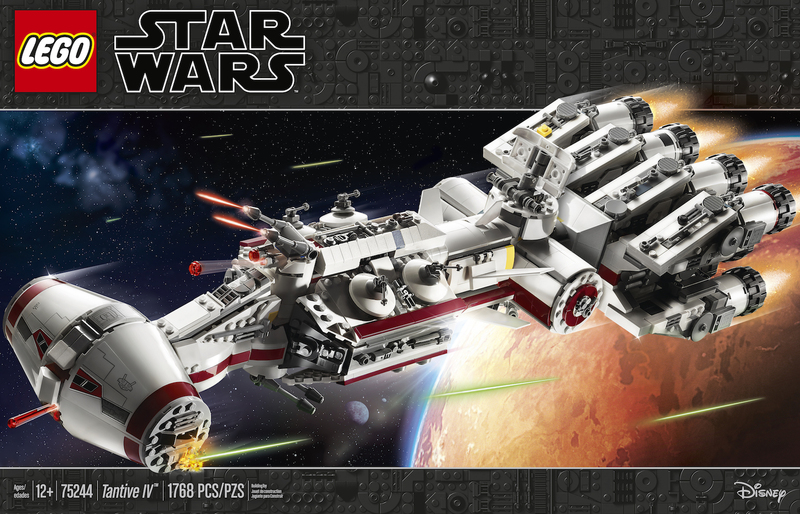 Star Wars Celebration First Look: LEGO Star Wars Rebel Tantive IV ship – AiPT! Celebrate 20 years of LEGO Star Wars with the iconic Rebel ship Tantive IV first featured in Star Wars: A New Hope. LEGO is going all out celebrating their 20-year relationship with Star Wars this year at Star Wars Celebration and they’ve saved the best news for last. Today LEGO has revealed a new 1,750+ piece set of the Tantive IV ship, the most iconic Rebel ship in the fleet. It recreates the cruiser’s signature details, including an elongated hull, detachable escape pods, elevating gun turrets, cargo hold and 11 massive engines at the back. Running $199.99 the ship includes 5 minifigures: Bail Organa, Princess Leia, Captain Antilles, C-3PO and a Rebel Fleet Trooper, plus an R2-D2 droid. This ship is massive running 24 inches long and 7 inches wide.